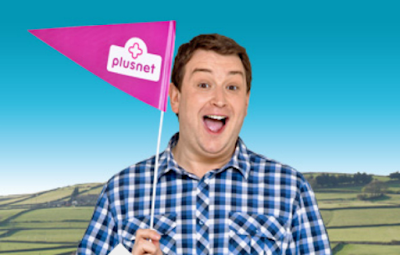 BT offshoot Plusnet is the latest broadband and TV operator to increase its prices. From 1st September a number of prices will be increasing, including a £1 rise in the cost of monthly line rental, increases in the cost of broadband of around a £1 a month and a 25% increase in the cost of landline calls outside of any inclusive package from 10p to 12.54p. Line rental saver is still available at £185.88 a year. Inclusive call packages are also increasing in price, with two new inclusive packages available to customers combining both landline and mobile calls - £4.00 a month for the evening and weekend version, £8.00 for the anytime package. Call set up fees are increasing 16p to 19p, but calls to mobiles are being cut from 13p to 12.54p a minute. However, after coming under fire for cutting the upload speed on its 38Mb Fibre-based broadband product to just 2Mb, Plusnet will be offering customers an upgrade to "up to" 52Mb download and 9.4 Mb upload, following the lead of BT, which is also offering a similar speed upgrade. The speed change commences on 1st August. No price rises have been announced so far for Plusnet TV, the TV service provided by the ISP via YouView, although Plusnet TV subscribers will be paying extra for their broadband and phone line as a result of the above changes. The basic entertainment pack, which also includes BT Sport 1 is available for £5 a month, with additional channels available for a monthly add-on fee of between £3 for kids channels and £5 for the full set of BT Sport channels. HD costs £3 a month extra.